We do not participate in any commercial or employer-sponsored insurance plans. Therefore, we file insurance claims for services provided in our office as an “out-of-network provider.” Patients are responsible for paying the annual retainer fee plus any co-payments or deductibles (at the out-of-network level) as specified by their insurance policy. We do participate in the original or traditional Medicare program. However, we do not participate in any Medicare Advantage programs (Medicare HMOs). Each new patient chooses either Dr. Locke or Dr. Tomm as his/her personal physician. We recommend that you call the office to schedule a meeting or telephone call with Dr. Locke or Dr. Tomm, without charge or obligation, in order to get acquainted and review your medical history and needs. Together, we can determine if our services and approach meet your needs and expectations. We will review our membership agreement with you and answer all of your questions. If you join the practice, we recommend starting with a comprehensive physical exam to assess your baseline health status. ARE TESTS AND SPECIALTY CARE COVERED BY MY INSURANCE? Patients should rely on their commercial/employer-sponsored insurance or Medicare for coverage of laboratory tests, scans and x-rays, specialist visits and hospital care. WHAT IS THE TYPICAL PROFILE OF YOUR PATIENTS? Our patients range in age from fifteen to ninety-five. Many are in their forties or fifties and are very busy with family and professional obligations. They are seeking better access and more personal attention than they can find in a traditional practice. Our patients are typically very well-informed about health issues. Some have relatively simple medical issues and are seeking a physician with enough time to discuss their occasional health concerns and questions. Other patients have complex medical problems that need more consistent, ongoing attention. All of our patients value the flexible scheduling, easy access to physicians and longer office visits offered through the practice. 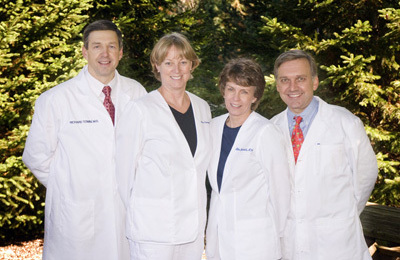 We refer to a broad range of specialists, many of whom are located at University Suburban Health Center. Of course, we also respect and maintain previously established relationships between our patients and their specialists. HOW DO I REACH MY PHYSICIAN AFTER HOURS? Both Dr. Tomm and Dr. Locke are available 24/7by cellular telephone to their respective patients. On occasions where Dr. Tomm is out of town, Dr. Locke takes his calls, and vice versa. We attempt to care for our patients in the office and avoid hospitalizations. However, should hospital care be needed, both physicians are on the staff of University Hospitals of Cleveland and will personally attend to their patients by visiting them daily at the hospital. DO PATIENTS TEND TO OVER-UTILIZE SERVICES OFFERED THROUGH THE PRACTICE? Our patients do not typically over-utilize our services. In part, this is because we offer each patient interested in joining the practice the opportunity to meet with Dr. Locke or Dr. Tomm in advance, either by telephone or in person. During that meeting, we can review the patient’s medical history, discuss their needs and explain our services and approach. Then, we can determine, together, whether our practice model is a good fit with the patient’s needs and expectations.